@MattAnderson_WI: Was Aaron Hicks rushed to the big league team too soon? To what do you attribute his early season hitting woes? Not sure if I'd call it "rushing" in a pejorative sense, but a 23-year-old skipping Triple-A to jump from Double-A to the majors is definitely an aggressive promotion and Aaron Hicks was good rather than great at Double-A last season. I think he'll be fine long term, but a high strikeout rate and questions about his passiveness at the plate have always been part of the equation with Hicks and I'd have started him at Triple-A. @PatAarons: Who'll spend more time in the bigs this year: Hicks or Oswaldo Arcia? That's tough to say, because in both cases the next couple weeks could determine what happens, but I'll say Hicks. Oswaldo Arcia's odds of sticking are hurt by the Twins' depth in the outfield corners and first base/designated hitter, whereas the opposite is true with Hicks and center field. @ErikAmundson: When is Samuel Deduno going to get his chance at a starting job and how could he excel? There's a decent chance Samuel Deduno would have begun the season in the Twins' rotation if not for the groin injury he suffered during the World Baseball Classic. He's still sidelined by that injury, so he needs to get healthy and start pitching again at Triple-A. As for how he could excel, not walking 4-5 batters per nine innings would be a good place to start. He shows more flashes of potential than your standard mediocre pitcher, but the end result is still mediocre. @JonTerbush: Thoughts about Vance Worley's rough start given his regression from 2011-2012? This question was submitted before Vance Worley threw seven innings of one-run ball against the White Sox on Saturday and my answer is that small sample sizes lead to overreactions, good and bad. @MNfanfromafar: Byron Buxton, Miguel Sano, Alex Meyer. If they perform well, where do they each finish the season? It's been pretty tough to predict the Twins' promotion schedules lately, but assuming that they all continue to thrive at their current levels I'd guess high Single-A for Byron Buxton, Double-A for Miguel Sano, and Triple-A for Alex Meyer, with some chance of Meyer reaching the majors. @twolvesfan: How soon do you see Miguel Sano reaching the majors? Cliche as it may sound, this depends on Sano. If he continues to absolutely destroy high Single-A and keeps putting up huge numbers following what would presumably be a midseason promotion to Double-A then reaching the majors in mid-2014 might be possible. If instead he's merely good, or maybe even struggles at some point, then 2015 is more likely. Right now he's 19 years old and has fewer than 100 plate appearances at high Single-A, so the path isn't exactly set in stone. @MattTrueblood: This week SI.com pegs the Twins to contend again in 2016. What's your timetable? At this point I'd like to see the Twins be "not terrible" this season, move solidly into "respectable" territory in 2014, and get into "contending" range in 2015. If it takes until 2016 for them to put together a team capable of winning the AL Central that means they'll have gone five years with bad teams and that would be an awfully long rebuild in a perpetually weak division. @vidbikecurlguy: Do the Twins take a pitcher this year in the draft? If Mark Appel is available do they take him? I'm of the opinion that you should always draft the best player available in baseball, regardless of current needs, and the Twins appear to feel the same way. With that said, most of the consensus top-five draft prospects this year are college pitchers, including Mark Appel. Trying to predict the draft six weeks out is mostly pointless, but right now I'd bet on the Twins taking a college pitcher. @OverTheBaggy: How many episodes deep are you into "Dawson's Creek" and have you felt your estrogen levels increase in that time? After suggesting via Twitter that Michelle Williams might be the best actress currently and at Dana Wessel's urging I watched the 1998 pilot episode of "Dawson's Creek" last week on Netflix. I'd never seen the show before and won't be watching it again, but it did bring back some weird 1990s nostalgia and 15-year-old me might not have hated it. Based on the pilot alone, I'd likely have been on Team Joey. @johnsoth: Regarding front office talk not matching their actions, is this normal across MLB? Is there less accountability in the Minnesota media market? Certainly teams being less than forthright about their plans is common, but in the Twins' case it has increased significantly of late. My guess is that all the losing after a decade of mostly winning plays a big factor in both how the Twins speak publicly and how the media covers them. @skittermiax: How much responsibility does the organization hold for the injury problems the Twins have? This is an impossible question to answer with any sort of certainty, but I do think it's reached the point where the Twins stand out from other teams in a negative way. And that has nothing to do with the actual injuries, but rather the mismatched diagnoses and recovery timetables, hesitance to use the disabled list, and dispensing of information publicly. @josephwgoodman: You've never called for the firing of Ron Gardenhire or the front office. Is that because of their performance or just not your style? I've certainly never shied away from criticizing Ron Gardenhire or the Twins' front office, but I'm definitely not the "call for someone to get fired" type and in fact I think the proliferation of that is one of the worst aspects of modern sportswriting. 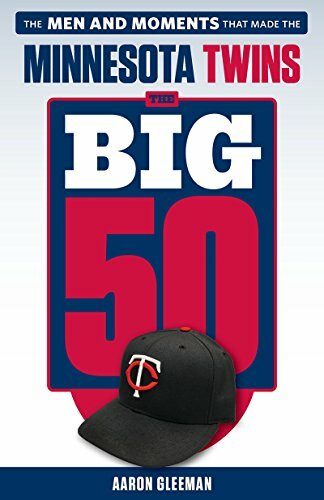 @johnmoz: How good does it feel not to have to watch Twins games? I've watched at least 90 percent of the Twins' games every season for the past decade and this year won't be any different. @RandBallsStu: Does John Bonnes have a go-to aftershave? It's not clear to me that John Bonnes needs to shave. He tried to grow a beard for the entire month of November as part of "Movember" and the result looked like if someone had glued 10 random hairs to his face. He does always smell lovely, though. @tony_basch: What's up with Jamey Carroll? If the Twins think they can be competitive this season should they use him more? 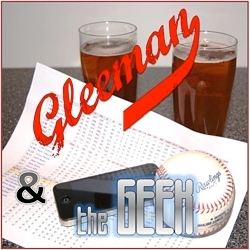 We talked quite a bit about Jamey Carroll's lack of playing time on this week's "Gleeman and The Geek" episode. Short version: I understand wanting to use younger players over a 39-year-old, but those younger players don't necessarily have much upside and Carroll might still be the Twins' best middle infielder. I hope they can find a trade for him, because Carroll can still have value. He hit .315/.378/.371 in the second half last season. @tonyrossi22: Kyle Gibson and Mike Pelfrey surgery recovery. Compare and contrast the Twins' approach with them. Is it age, investment, or other driving plan? First, all that stuff about Mike Pelfrey returning from Tommy John surgery sooner than everyone isn't so impressive when it comes with a 7.94 ERA. Beyond that, their recovery timetables weren't much different. Kyle Gibson was back pitching in games about 11 months after surgery, it's just that those games were in the minors. @MattAnderson_WI: Will the Twins have a starting pitcher win 13 games this season? I'm not going to answer this, because I want to discourage people from caring about pitcher wins. @Dwade: If walks and strikeouts weren't part of baseball and you just stood up there until you put a ball in play, what would Joe Mauer's pitches per plate appearance be? I'm endlessly fascinated by game theory in baseball and poker and whatever else, so I'm putting this question last in case people want to discuss it in the comments section. My initial instinct is that with the elimination of walks taking away all motivation for pitchers to throw strikes the sport would basically be ruined and plate appearances would essentially last until everyone fell asleep. 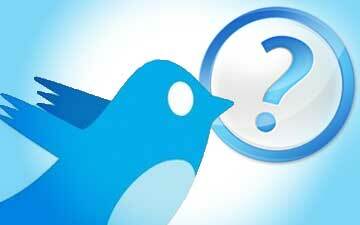 This is a really interesting question. I suspect the optimal number of pitches per AB would be much higher despite the fact that throwing an extra pitch costs the pitcher energy as opposed to costing the hitter nothing(not sure how to quantify how much a pitch costs a pitches vs a batter). The optimal answer to the beauty contest game is 0. However a much better answer is likely between 10-20 depending on whether you are playing against smart or dumb opponents. I suspect the same would be true for pitchers. Optimal strategy would probably be a high number of pitches, but the best strategy would not be significantly more than are currently thrown because batters are very far from optimal opponents. In the Game Theory Scenario what if you couldn’t walk but if 5 strikes were called (swinging or otherwise) you were out. This would force pitchers to throw in the zone (at least partially). That would make it a bit more interesting. Is the All Star HR contest an example? There is no penalty for taking a pitch, but you see contestants swing at a lot of bad ones. Hicks’s basic problem is that he is a patient hitter who has not had the seasoning to appreciate how much better MLB pitchers are at setting you up and painting the black. He’s falling behind often and getting fooled by good pitches. Doesn’t mean he doesn’t have a good eye or that he won’t eventually hit. But he’s still on the steep end of the learning curve and it’s been lengthened by his naturally patient approach. What if it took one strike to strike out (foul balls don’t count) and 2 balls to walk. Pitchers would last longer, hitters would be forced to go up there and swing, the game would move faster all around wouldn’t it? Plus when Mauer bats you wouldn’t have time to go to the bathroom, grill a burger and run to the store for a 6 pack before he finally swung the bat. With no walks or strikeouts, would baseball have only One True Outcome? As Aaron points out, the obvious strategy is for neither side to risk failure: the pitcher never throws near the strike zone, and the batter never swings, and nothing ever happens. Maybe there would be brief moments of interestingness; if both pitcher and batter overestimate their own abilities, you might occasionally see a questionable pitch or questionable swing near the edge of the zone. Eventually a clever pitcher might discover the idea of pitching the ball directly at the bat, hoping to induce a 2-3 groundout. Then a clever batter might discover that he could reach base by shielding the bat with his body. If enough players decide that this is “the right way to play the game”, there could be an amusing sequence of injuries, concussions, lawsuits, Congressional hearings, and so on. But it only takes one player to make the game last forever, so whenever one team is trailing by several runs, they’ll filibuster. And that will be the end of baseball. Even cricket only lasts five days. Long before the end of the first eight-week at-bat, everyone in America will have decided to just watch The Ed Sullivan Show instead. In other news, Josh Whetzel interviewed Terry Ryan on the Red Wings’ pregame show a few days ago, and asked whether Miguel Sano had a chance of being promoted to Rochester later this year. Ryan’s answer was something along the lines of “Sure, of course there’s a chance, if he continues to play well.” It’s not clear whether that means anything; of course I wouldn’t expect him to say definitely yes or definitely no. I don’t think I meant to suggest that concussions are “amusing”. I think I meant to say “interesting” or some other noncommittal adjective. But the Congressional hearings would be amusing. You’re ignoring the pitch count problem. There’s simply no way pitchers throw more than 3* as many pitches as they throw now. Saying the games would go for days is laughable. If all your pitches are 40 mph and 20 feet from the plate, it’s not so taxing on the arm. Who grills a burger before buying the six pack? Or in this example did you drink your first six pack while grilling? And if so, why not just buy a 12-pack, or case or whatever, before firing up the grill?